As a French person, I booked a ticket from CountryA to Delhi, and another ticket (other company/agent) from Delhi to CountryB. Do I need a visa to change companies at Delhi? I will need to pick up my luggages at Delhi and drop them at the CompanyB counter. I have applied for a multiple entry visa, and got it (see below) but unfortunately this part makes me think I won't be able to use it when coming back: Not valid for 2nd entry within two months of last exit from India. Only 2 weeks will have past when I come back to India with the return flights. QUESTION: Is there something like a transit visa that I could use the second time? I had the same situation, flying to Delhi, and visiting Nepal before returning to Delhi. The embassy can issue a special waiver of the "no returns within two months" rule. Personally I was on a multiple entry business visa, but I forgot to get the special waiver. Nobody said anything when I returned after a weekend in Nepal, but I wouldn't count on it. This is for information that restriction of TWO months gap between two visits has been removed by the Government of India from 4th Dec 2012. This stipulation of two months gap does not apply on any other type of visa, i.e. Business (B) or Entry (X) types of visas. It also does not apply to PIO and OCI card holders. As far as I know you need a double-entry visa, which is specifically designed for this kind of travel - when you go to India, then from there go to a neighbouring country (warning: the list of countries is rather limited) and then come back to India. In this case you have to limits on the time spent in the other country. Visa requirements depend on your nationality. For some citizens, a tourist visa can be obtained upon arrival. But I wouldn't rely solely on the information in the previous link. Read, for example, this. Meanwhile, many (all?) of India's consulates now have outsourced visa application procedures to third parties, meaning that there doesn't seem to be much consistency between consulates. See for example the UK and US processes. So, if I were you, I'd ask for details at your nearest consulate and tell them your situation. There is a long thread over on Thorn Tree about the same question. While there are lots of different opinions, it seems that if both flights are from Terminal 3, you don't need to go through immigration and don't need a transit or other visa at all. Please note, both your flights will arrive and depart from the new International Terminal –T3 and no transit Visa is required for passengers having onward International Connection. Passengers having onward International connection wait in the transfer area, in case they have through checked-in baggage .You will receive your onward boarding card in the transfer area. In case the baggage is not through tagged to the final destination, then you can contact the Transfer desk in the International Transfer area. Not the answer you're looking for? Browse other questions tagged visas india transit french-citizens del or ask your own question. 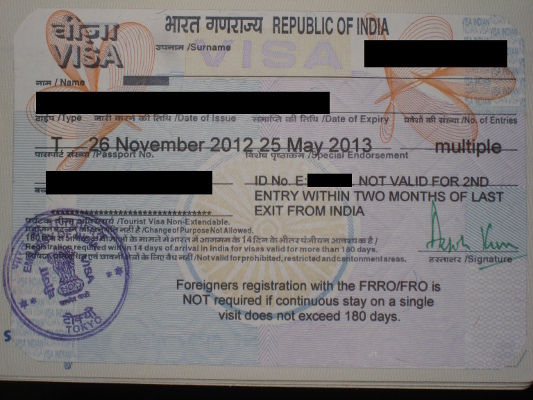 Do I need a transit visa for a 14 hour layover in India as a British Citizen?